I am not a big fan of writing about money on my blog. I like to keep it about what is going on in Mexico, in ministry, in my life. But, I guess, this IS what is going on in my life. I am in the states raising support to continue serving our Lord in Mexico! 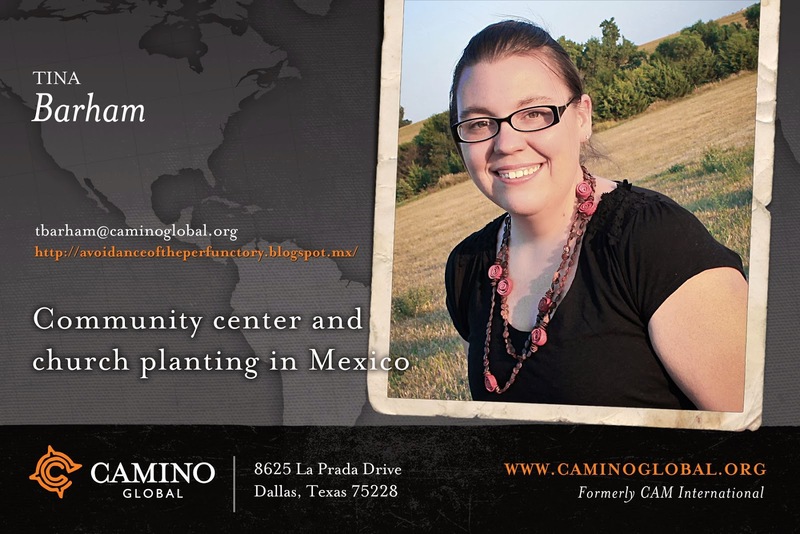 I have been serving on a church plant team in Ixtapaluca (right outside of Mexico City) for the past three years! Basically, I went to Mexico for a year and stayed! I have felt led to to go full time and here I am. I just need to raise the funds required to continue. My current need is about $1000 more monthly. I also have the need to buy a car. So, that is about $5000 one time gifts. Anyways, have you been thinking about giving? DO IT! I plan on going back on September 29th! GO HERE! or ask for a paper for by e-mailing me!